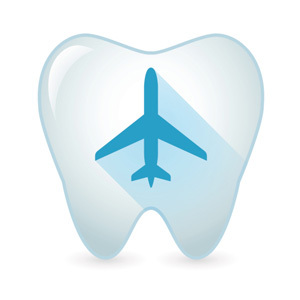 Each year, over a million Americans venture abroad for healthcare, with roughly half for dental treatment. Cost is the main reason — “medical tourists” believe they can save substantially on treatment, even with travel. But before undertaking such a venture for dental work, there are some things you should take into consideration. For one, although quality care exists all over the world, you’ll also find different standards of care. In the United States, for example, not only must dental providers graduate from accredited schools, they must also pass state examinations before they can practice (specialists even more). In some parts of the world, educational standards aren’t as difficult to attain. You may also find differing standards for infection control, drug applications or appliances: for example, you may find a lower quality in implant or crown materials or craftsmanship than you might expect in the U.S.
Communication can also be an obstacle. Language barriers make it more difficult to understand what to expect before, during and after a procedure, or to have your questions answered. It may also hinder your provider from fully accessing your medical and dental history, which could have an impact on your treatment and outcome. Limited communication also increases misunderstanding about services offered, charges and treatment expectations. Finally, many dental procedures have multiple phases to them, some of which normally span several months and visits. Many who go abroad for more complex procedures may try to have them performed in a much shorter time frame. Doing so, however, could prove disappointing both in the quality of the final outcome and your own well-being under such an arduous schedule. Even if your dental work is performed in an exotic locale, recovering from extensive procedures where you must rest and refrain from strenuous activity is best performed in the comfort of your own home. It’s important to get the facts before traveling to a foreign country for any medical or dental treatment, especially about a region’s accreditation and care standards, as well as what you can expect in terms of amenities and culture during your stay. One good source is the U.S. Center for Disease Control’s web page for medical tourism (http://goo.gl/75iWBk). Going abroad for dental care is a big decision — be sure you’re prepared.